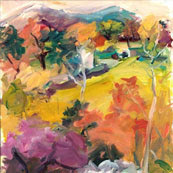 Primarily a landscape painter, Mary Page works directly from nature--en plein air. She clearly revels in capturing those fleeting sensations of what it looks like and feels like to be outside in the natural world, but her work is also a paean to the act of painting. Mary Page paints with great brio imbuing her work with particular visual animation. This is evident in her line that vibrates with energy and the lushly painted passages of pure, animated gesture. She likes to study “the way nature draws. " A professional landscape designer and artist, Avy Claire’s paintings, drawings on Mylar, digital photography and installations are all centered on nature. 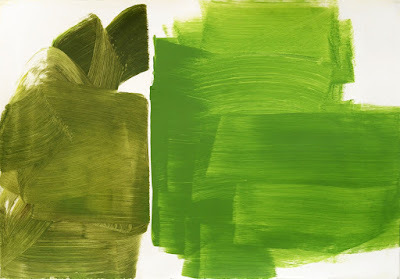 Much of her work is conceptual, dealing with the built environment and man’s interaction with the natural landscape.